The mother of a teenager found hanged at his school in Lincolnshire said she was "disappointed" after a second coroner recorded an open verdict. 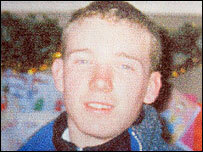 Bradley Parkin, 17, of Cleethorpes, was found dead in February 2000. In March 2005, the High Court ordered a fresh inquest after hearing from his mother, Shanie Parkin. Coroner John Sleightholme ruled there was not enough evidence to record a suicide, accident or misadventure verdict at a hearing in Scunthorpe. The A-level student was found hanging from a rope in a store cupboard behind the theatre stage at Lindsey School in Cleethorpes. After hearing how three pathologists agreed the teenager died as a result of asphyxiation caused by hanging, Mr Sleightholme said this evidence suggested there was no third party involvement in his death. The coroner said: "Of course the possibility of suicide exists, however the evidence as a whole does not, in my opinion, point irresistibly to a suicide intent. "There is a possibility this was an accident or misadventure." Speaking outside the hearing Mrs Parkin - who does not believe her son meant to kill himself - said she was going to consider whether or not to take further action. She said: "It should have been misadventure, there should have been more of the facts available." "The issue is not the verdict. It's the facts around Bradley's death." Det Ch Supt Colin Andrews, of Humberside Police, said: "What is important for the sake of Bradley and his family is that the truth about how he died is known. "We will never know what Bradley was thinking in the hours before his death but I do know, without doubt, that everything possible has been done to establish the circumstances of his death."